Combine cucumber, green pepper, scallions, sour cream, lime juice, garlic clove, salt and pepper in a blender. Blend until creamy or leave it chunky if you like it that way. Divide into bowls and chill for at least 1 hour. 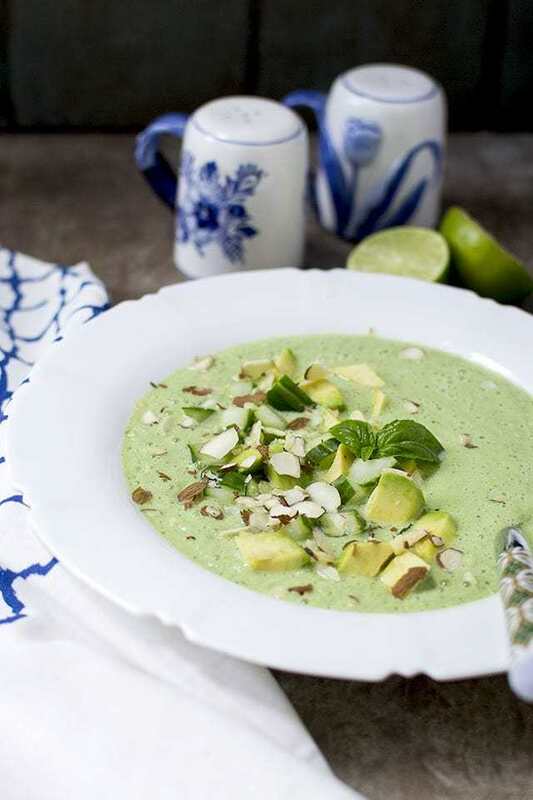 Serve topped with chopped almonds and avocado.